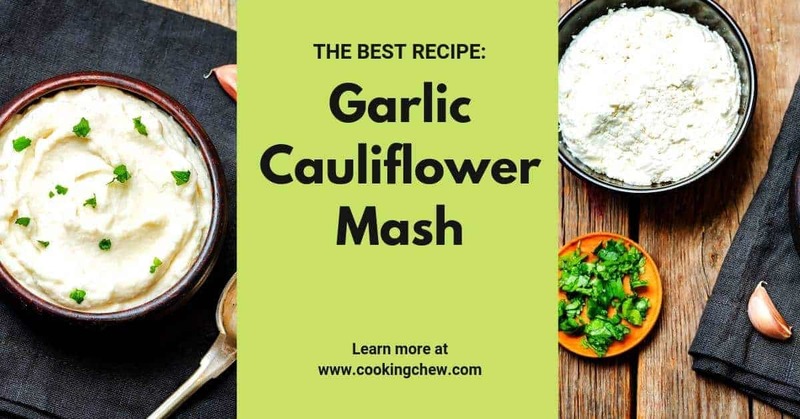 The first time that I had Garlic Cauliflower Mash was at a Christmas party here at our house. Our daughter made it for us. To be honest, I was quite skeptical. Once I took a bite of the fluffy mashed cauliflower, I was sold—and frankly, quite surprised. 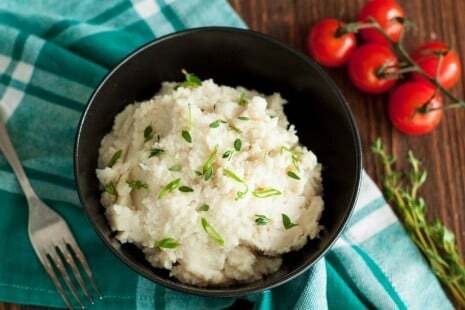 Can you freeze cauliflower mash? How to thicken mashed cauliflower? Are you supposed to wash cauliflower? If you are (also) a skeptic on the taste of cauliflower in its whole florets state, let me tell you now that I hate cauliflower. I love a good veggie plate but I don’t even want to dip a veggie in some tasty ranch dip if it has touched cauliflower. 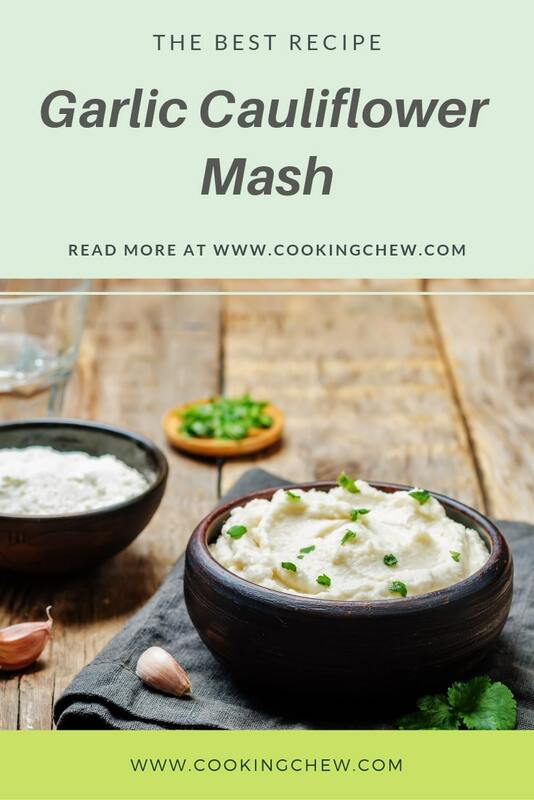 This is why I was truly surprised when I discovered that mashed cauli changes the flavor quite a bit, and it takes on the flavors it melds with. In this case, garlic, but this is probably why whole brands are putting out pizzas, baking flours, and snacks made with cauliflower: They don’t really taste like it at all. It turns out that this works for making “mashed potatoes” too. 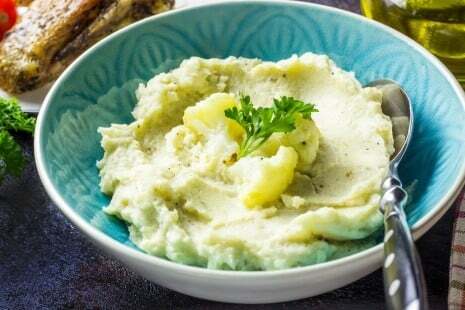 Using cauliflower is a great way to have the taste and texture of mashed potatoes with fewer carbs. Pro-Tip: If you want to soften your garlic to make it a bit easier to deal with, throw the peeled garlic in with the cauliflower when you steam it. 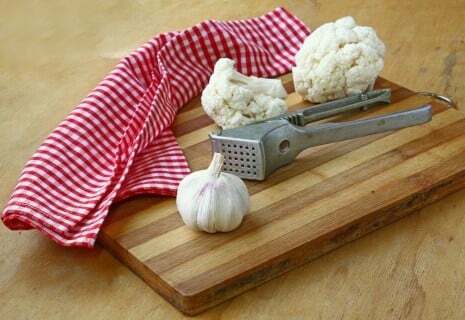 Place the cauliflower florets and the garlic cloves in the pot and boil for about 15 minutes. The cauliflower is done when you can easily place a fork through it. Drain the cauliflower in a sieve or colander. Mind the hot water. a. Tip: After draining the cauliflower, pat all of it dry with a paper towel to remove extra moisture. We want fluffy, not dense, and too much water creates a heavy mash. Place the cauliflower, garlic, olive oil, milk, garlic, and onion powder in a food processor (If you don’t have a food processor, use your blender). Mix until your ingredients are smooth and creamy. Sprinkle chives on top prior to serving. Yes, you can freeze cauliflower mash in a baggy. Be sure to press all of the air out of it prior to sealing the baggy. Also, we recommend that you mix in a bit of extra almond milk before freezing. After defrosting, reheat the mixture in the oven with a drizzle of oil or pat of butter. If your mashed cauliflower comes out runny our suggestion is to add a bit of flour and mix thoroughly. We prefer to use almond flour or cornflour but feel free to use whatever you have on hand or based on your dietary needs. If fresh cauliflower is properly stored it can last 7 to 14 days. To keep it fresh, store it in the vegetable drawer of your fridge. Do not rinse the cauliflower or allow it to get wet until you are ready to use it. Using almond milk makes recipe as-is a vegan, AIP, gluten-free and paleo-friendly dish. If you don’t have almond milk around, do you have unsweetened oat milk, flaxseed milk, or cashew milk? For dairy lovers, you can use heavy cream diluted with water, skim, 2% or whole milk, or part buttermilk, or even thinned, diluted plain yogurt or sour cream. There are WAYS to get that nice burst of dairy flavor. Olive oil is a kitchen staple, but you can also use canola oil, vegetable oil, avocado oil, grapeseed, or almost any other cooking oil you might have in your pantry. A food processor is great, but you can also use an immersion blender, handheld mixer, regular blender, or an aggressive potato masher, or even a pastry blender. If you have more time than equipment, mash with a large spoon. The goal is to incorporate until smooth and fluffy. This is how you cook cauliflower like mashed potatoes. The best part is that if you don’t tell your guest in advance, they will likely be quite surprised when you tell them what they are eating.